Earn $79.99 in Rewards credit (7999 points) What's This? 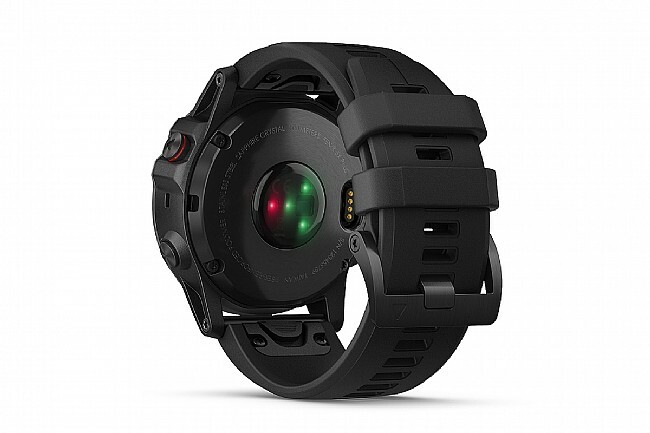 Intense performance meets precision timepiece in the fēnix® 5X Plus multisport GPS watch. 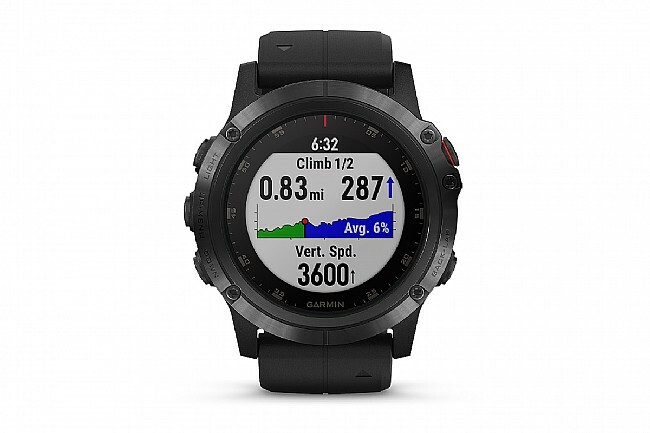 For athletes and outdoor adventurers, this ultra-rugged watch features routable color TOPO maps, estimated heart rate at the wrist, Pulse Ox Acclimation, a non-medical device that provides estimated blood oxygen saturation awareness, storage for up to 500 songs and the Garmin Pay ™ contactless payment solution (available for supported cards from participating banks). 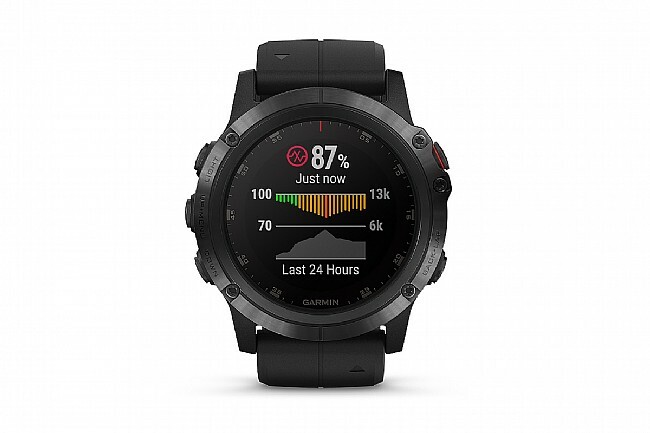 The Garmin Fenix 5X Plus is available in three sizes, this one being the larger 52mm size. Also available in the standard 47mm 5 Plus, or the smaller 42mm 5X Plus. 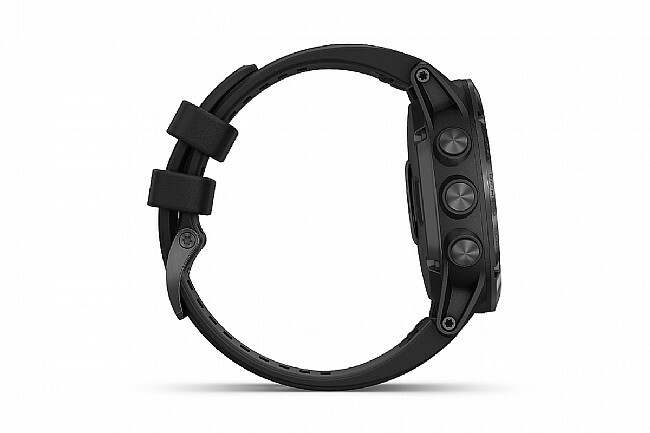 Wrist-based Pulse Ox Acclimation sensor, a non-medical device that provides awareness of your estimated blood oxygen saturation levels. 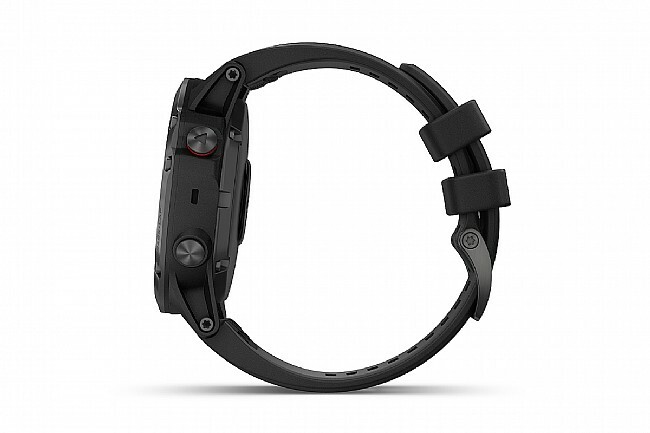 Battery performance: up to 20 days in smartwatch mode and 13 hours in GPS mode with music. In general the watch is great, battery life excellent. Has some issues connecting to an extended display. I hear is a general issue on the Plus line. 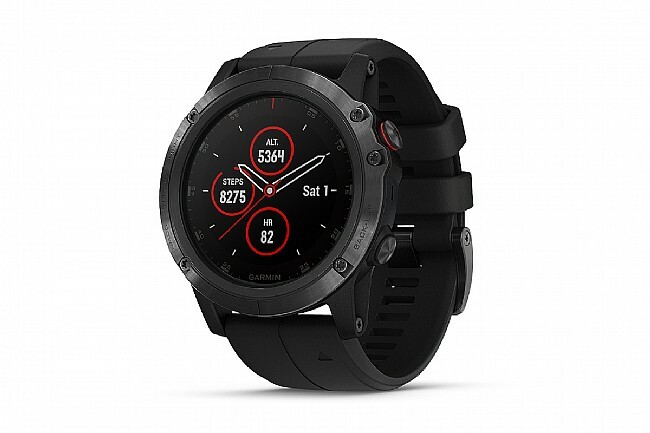 Ive owned several Garmin watches in the past but was never blown away. That changed with the 5x Plus...wow! Easy to read screen (this was always a problem with my past Garmin watches). It syncs perfectly with Garmin Connect and Strave. I use it with a chest strap for accurate HR, a Quarq power meter and a Garmin wheel speed sensor. It all simply works.... and works flawlessly. It is Spotify capable so with wireless headphones, I'm jamming too. What more could you possibly need other than bigger lungs and stronger legs lol. Best Garmin I have ever owned. I am a triathlete and a Spartan racer. I use this for all of my training and to keep track of my steps everyday. This watch has more features to help help me achieve my goals.